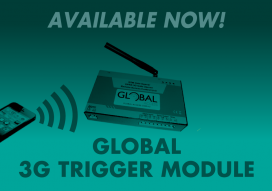 Trigger devices such as Gates and Alarm Systems from anywhere in the World with a Global 3G Trigger Module! Provide access from remote locations to your property simply by calling the 3G Trigger Module connected to your gate or garage door. You can even create one-time entry based on specific times and dates with this device.